Since 1943, the first orujo in Spain that uses only 100% natural spirits, without additives or preservatives. 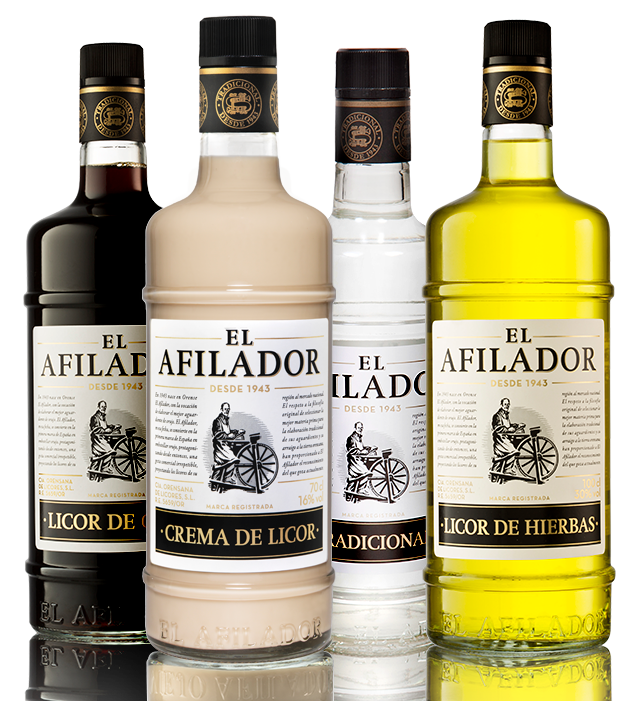 El Afilador offers a wide range of marcs, liqueurs and creams, prepared in a traditional way, by the 4th generation of a Galician family dedicated to the development of traditional liqueurs from their land of origin using only the best raw materials. Authentic Galician pomace in its four varieties: Herbal Liqueur, Traditional (brandy), Coffee Liqueur and Liqueur Cream. Its fresh and fruity aroma, with notes of raisins and dried figs, is the perfect touch to any meal with friends. Consolidated as the second orujo in the Spanish market, with a very positive growth trend in recent years.